Clean Up the Stagnation and Rot in Washington, D.C. Now! Fire All of them! It is an inarguable fact in the business world that “ being understaffed is an infinitely better situation than having BAD employees”. During my 35 year professional career in management and executive positions with an international corporation I never experienced or observed a situation where this management philosophy did not prove to be right. How does this relate to Washington, D.C.? Is there anything in Washington, D.C. that is actually working? Is our Federal Government not basically a business that is supposed to be efficiently delivering needed “services” to all its citizens (not ruling them)? Properly managed businesses that work at fulfilling their business objectives, delivering the desired goods or services to its customers, within its budget, are almost always successful on a long term basis. Why should our Federal Government be any different? Why has our Federal Government failed so miserably at fulfilling its basic mandate for so long? Because “management” (elected and appointed) has failed miserably at every level for decades. The “employees” (elected, appointed and hired) have not been “managed” at even a minimal level in most cases for decades. We must have term limits in America! http://www.onlymakessense.com/ (May post. “Term Limits and Special Interest”). Bill Clinton was one of the most influential, in a negative way, politicians that ever served as our President. He set the stage for Obama to bring America to the brink of its final destruction. He created the housing crisis that destroyed the American economy, staffed every U.S. Government department with corrupt people and gutted our military and Intelligence service, with help from RINO Republicans (911 may not have happened if our intelligence services had not been gutted?). This is only a fraction of the unethical and illegal acts deliberately carried out by the Clinton Administration and his supporters. Obama was the most America corrupt and hating person to ever occupy the White House. He took the corruption Clinton left him to extremes with help from RINO Republicans (President Bush could not fix what he inherited due to 911 and the resulting “war on terror”). Obama and his supporters made sure that every Federal government agency was run by, and staffed with the most extreme, America hating and corrupt individuals imaginable, and continually lied to the press and the public to cover-up their activities, all with the open support of the Rino Republicans in Congress. This was especially evident in the IRS, FEC, and DOJ. I am absolutely convinced that Obama would not have been reelected without the openly corrupt activities in these departments. The IRS targeting of non-partisan groups and conservative groups while enabling criminal hard left groups was enough in itself to assure Obama’s reelection. This is only a tiny fraction of the unethical, illegal and treasonous acts carried out by the Obama Administration and his supporters. Hillary almost became the 45th President, after being one of the most unstable and treasonous people in the history of American politics. As secretary of State she violated every U.S Government regulation regarding secure government communications and document security and repeatedly lied about it. She also regularly sold America out for huge unethical and in some cases illegal contributions to the criminal Clinton Foundation and huge unethical, and in some cases illegal, speaking fees for Bill. This is a tiny fraction of the unethical, illegal and treasonous acts carried out by Hillary and her supporters. Eric Holder was the most openly corrupt America hating person to ever serve as the U.S. Attorney General. “Fast and Furious” , the IRS targeting of groups they did not like, lying to Congress under oath, withholding records from Congress, allowing the destruction of government records, illegally prosecuting individuals and groups they did not like while dropping convictions and refusing to prosecute individuals they did like, and creating illegal slush funds for distribution to extreme Leftist groups. This is only a tiny fraction of the unethical, illegal and treasonous activities carried out by the DOJ under Eric Holder. 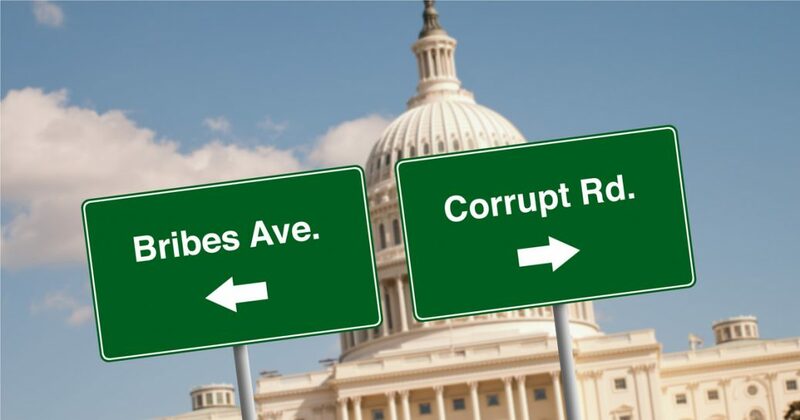 Lois Lerner was promoted to her IRS position from a similar position at the Federal Election Commission (FEC) where she illegally influenced elections to assure Democrats won close elections. At the IRS she ran the illegal “targeting” operation that assured Obama’s reelection, lied to Congress about it and was involved in the illegal destruction of thousands of government records. And then she was allowed to retire with full retirement benefits. Representative Maxine Waters has been accused of a long list of unethical and illegal activities. There have been formal investigations into some of these activities, including assuring that bank “bail out funds” were illegally used to save a California bank that her husband owned stock in and was a paid member of the board. Her personal involvement as a sitting member of Congress in this bank bailout is a glaring example of how corrupt Washington D.C. is. The “Congressional Ethics Commission” spent one million dollars investigating what was obviously an “open and shut case” of corruption and did not recommend any action against her. There are many other cases of corruption like this in Washington that never “see the light of day”. Note, the “Congressional Ethics Commission” is staffed by an equal number of Democrats and Republicans to assure “they take care of their own” regardless of party affiliation. Maxine Waters and other people in Congress like her were elected and will remain in office as long as they want to regardless of what they do, or do not do, due to gerrymandering. “gerrymandering is a practice intended to establish a political advantage for a particular party or group by manipulating electoral district boundaries”. Senator and 2016 V.P. candidate Tim Kaine (an avowed Christian?) said, on camera, “the Democrats must be willing to fight Republicans in the streets”. If you look further into his history, Tim Kaine has a long record of unethical behavior, scandals, corruption and “throwing other people under the bus” when it benefited him politically or financially. On an added note one of his sons was recently arrested for inciting a violent anti-Trump protest and resisting arrest. Note, this is only a tiny fraction of the corrupt, treasonous people who occupy, are have occupied, Washington, D.C. It would be practically impossible to produce a complete list, which would include Democrats, Rino Republicans and Independents. This is what elected President Trump, “Non Politician Business Man”. Fire them all now, including the RINO Republicans!